This covered watch is fabulously Art Deco. 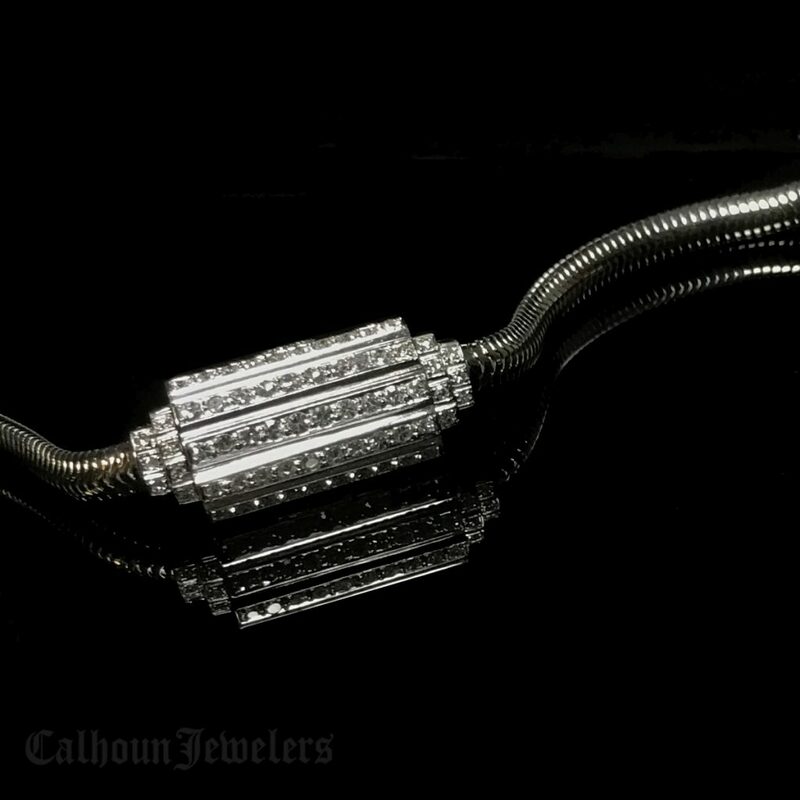 With a snake chain bracelet, the cover features a line design and encrusted with diamonds. Certainly a fashion-forward piece!